 Companies only get one shot to report their past year's efforts, cast vision for the future, and continue to press towards new horizons. Rule29 will help craft that story into the right narrative and format that honors your brand, investors, shareholders, or donors. We used full-color, full-bleed images of the Columbian landscape to showcase the beauty of the environment from an aerial perspective. 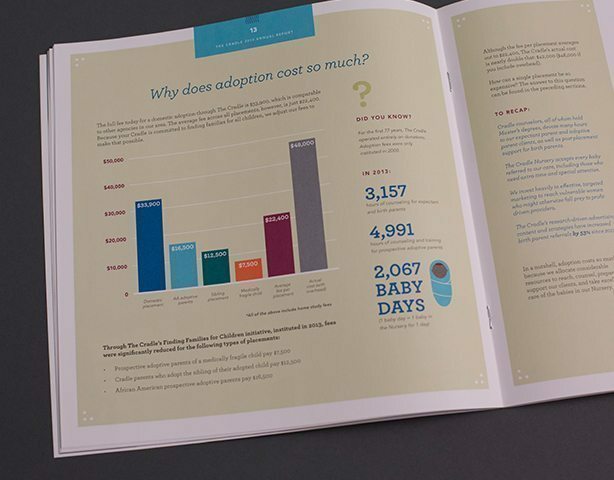 Throughout the report, we highlighted key information and statistics through infographics and typographic hierarchy. 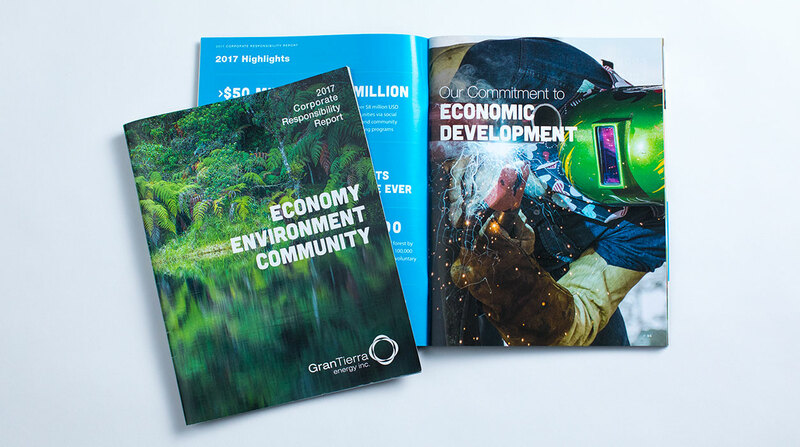 This combination proved Gran Tierra’s transparent, safe, and responsible portfolio to be one of the best in the world. For over 30 years, Raffles Insurance has built a proven track record of transforming businesses. By creating a network of world-class partners, Raffles Insurance has pioneered forward. 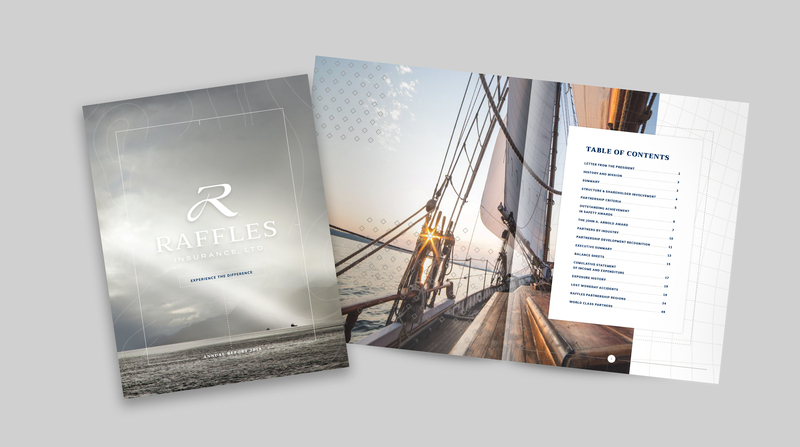 Raffles approached Rule29 to create an annual report that would serve as the physical display of their community. We created the Experience the Difference theme to represent Raffles’ security, strength, and sophistication. Beautiful landscape photography, layered brand elements, and patterns in the background added depth while providing an elegant touch. These elements highlight Raffles’ expertise in the industry and emphasize the benefits partners experience when they join the Raffles community. For the 2014 Annual Report for USG, Rule29 created a design that demonstrated USG’s commitment to challenging conventions and showcased its impressive process for creating industry-leading materials. 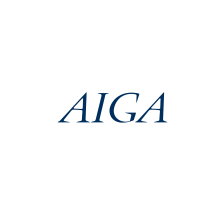 The annual report maintained an angular styling and vivid imagery, drawn from USG’s corporate logo. Helping the World’s Most Vulnerable Find Hope, Health, and Healing. 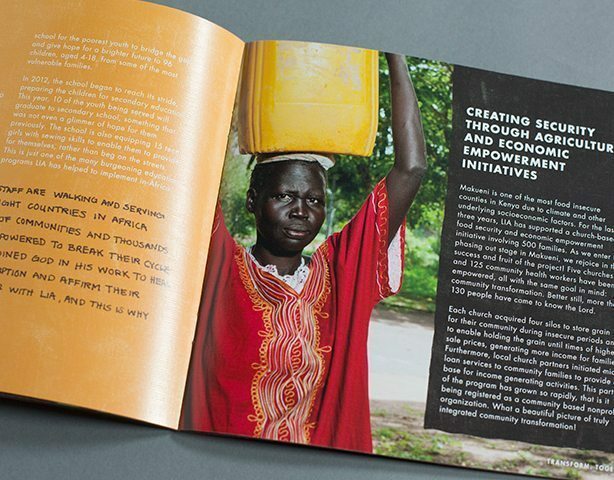 Throughout this annual report, you’ll find quotes and stories of transformation that demonstrate the true impact Lifewater can make when we all work together. Behind all the data, statistics, and numbers are vulnerable people needing safe water, health, and hope. This annual tells that story. 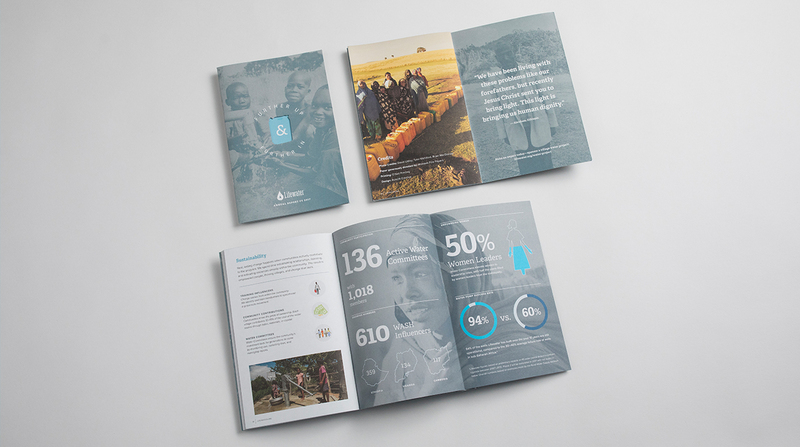 We used illustrated infographics mixed with in-country photography to communicate major milestones and metrics of Lifewater’s work. We partnered with Lifewater to create their annual report for FY 2018. 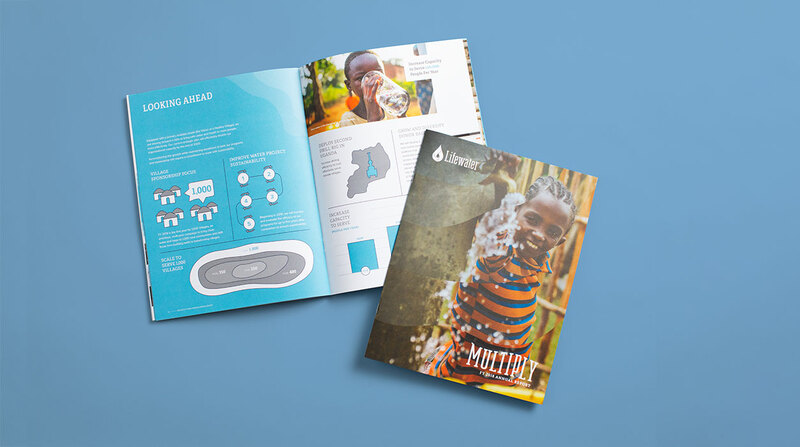 The “Multiply” theme connects to Lifewater’s heart to multiply health and hope by striving to end the global water and sanitation crisis, one village at a time. This theme is visualized with the dual use of both duotone and full-color imagery. This stacked interaction of images and text is also applied to callouts and quotes, establishing a consistent look and feel throughout the piece. By highlighting Lifewater’s Healthy Village model and its lasting impact on communities, we were able to support Lifewater’s efforts reach even more people with health, hope, and lasting change. Team Red, White & Blue believes that an engaged and empowered generation of veterans is integral to American communities and making our country at large stronger. To highlight this impact and reach a broader audience, we created an online interactive annual as well as a printed version. Statistical examples of impact along with member stories led the narrative. 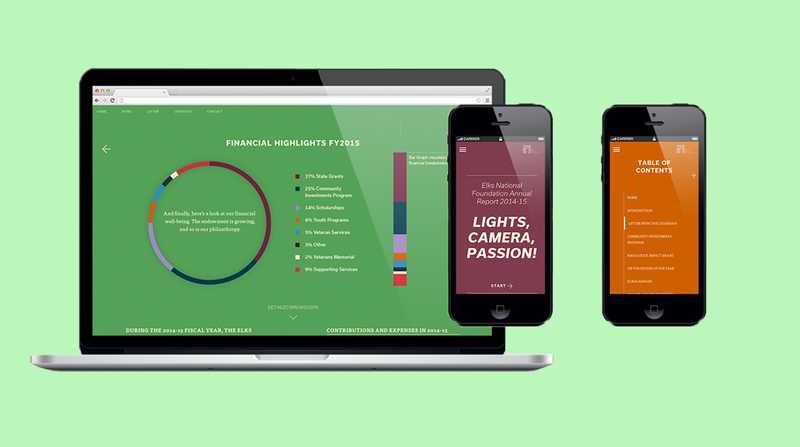 The annual report website included more interactive charting, videos, and image galleries the printed version did not have. And unlike the printed version, it was also shareable via social media channels and email. 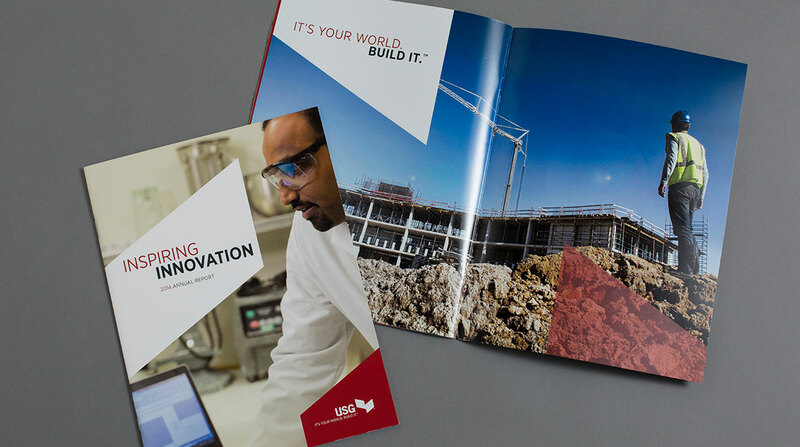 From 2011–2014 we did the concepting, design, and management of the Ace Hardware annual report. For those four years, each annual highlighted the key focus globally for Ace. 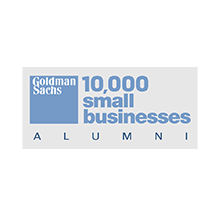 In 2011, the focus was on what Ace owners did to impact their communities. In 2012, we highlighted how Ace was better together. We used the Ace red apron/vest to symbolize that unity and lead the narrative. In 2013, the stories featured in the annual reflected the overall attitude of going above and beyond what is expected from a typical hardware store employee. The 2014 annual report was extra special as Ace celebrated 90 years! This annual talked about the year in review, but it also looked back to what started it all. We used colorful infographics to help the year in review be more fun to read and descriptive. The Elks National Foundation engaged Rule29 to create an annual report that would serve as a compelling tool to tell the story of the organization in both print and digital environments. We designed the piece with a vibrant color palette to focus on the incredible impact of Elks in communities around the United States. Videos throughout the site brought the Elks' work to life. 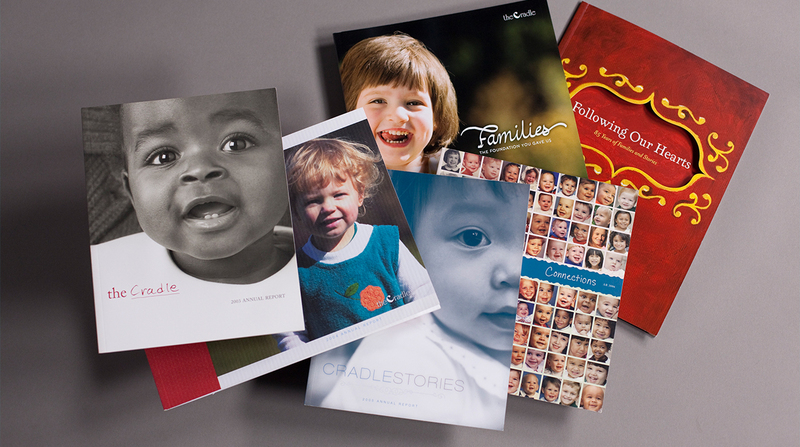 For almost 10 years, Rule29 had the privilege of helping tell The Cradle's story. Renowned as one of the foremost adoption agencies in the country, since 1923 The Cradle has helped place more than 15,000 children in permanent, loving homes. 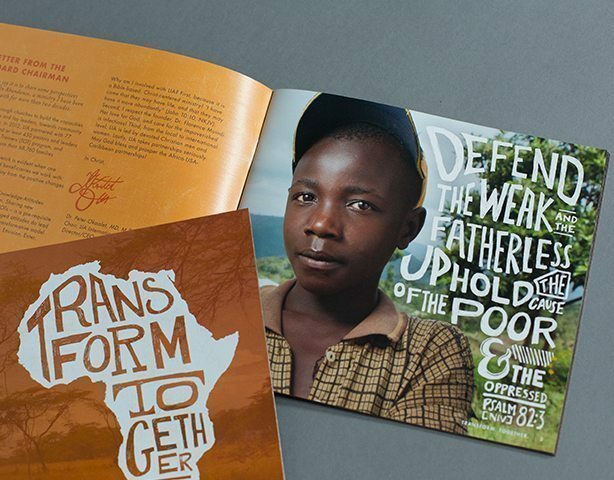 Their annual report was part celebration, part reporting, and part fundraising to keep their incredible work going. 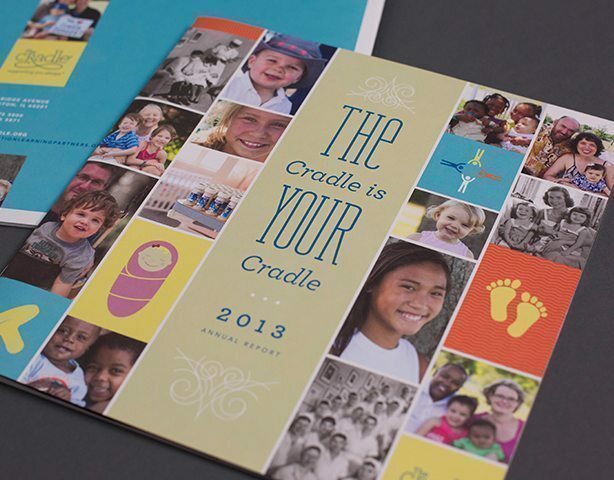 A playful set of illustrations in the colorful Cradle brand palette contrasted with the rich photography and made the information more approachable. 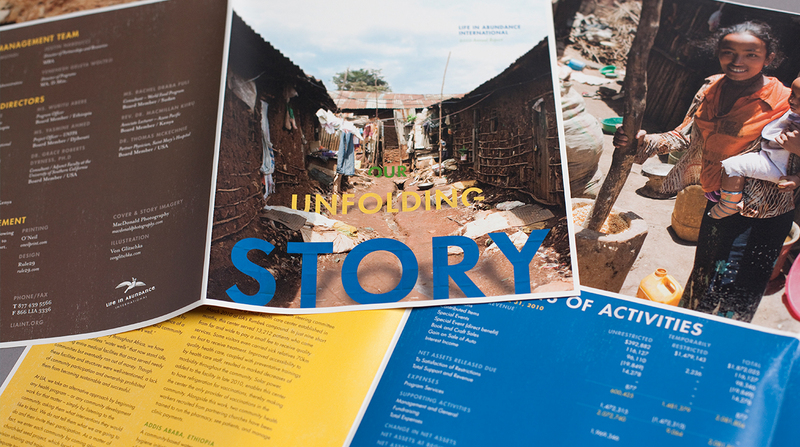 For the 2010 Life In Abundance (LIA) annual report, we took on the theme of “Unfolding Story” and took inspiration from a folded-poster format. In this third installment of the report, our goal was to reveal the stories of transformation in the impoverished communities served by LIA. Life In Abundance believes it’s time to wake up and solve the world’s problems: poverty, disease, and injustice.  To make that happen, LIA has developed a unique model for transformational development to improve the human condition, focusing on economic empowerment, community health, education, and social engagement. We highlighted these models through beautiful imagery and used illustrated type to bring them to life. 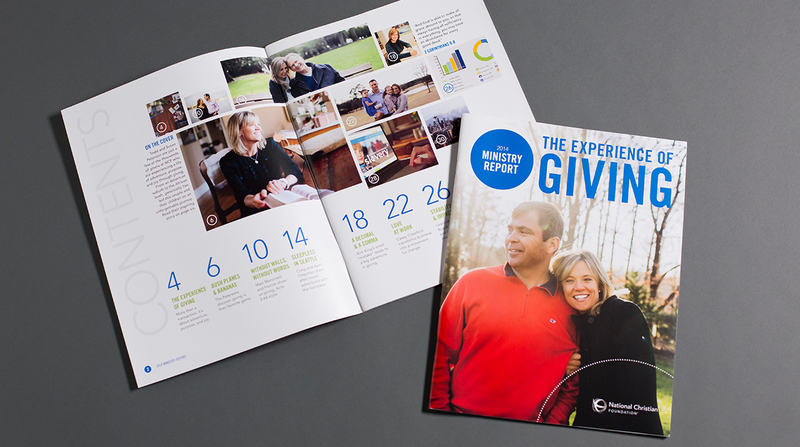 National Christian Foundation's annual Ministry Report showcased stories of people who stepped out of their comfort zone and made their larger-than-life dreams of generosity and service a reality. NCF came to Rule29 to help present these stories in an elegant print piece.  Beautiful photography, clean lines, and a vibrant color palette helped create a showpiece for the organization, proving to be one of their most highly received in recent years.  Can We Help You with Your Annual Report?